The biggest problem we face in the Smartphones is the storage. Now a day, companies are making smartphones which comes with the fix memory or in other words it does not have external card slots. Today in this article, we will discuss about the medicine of this pain. Technologies are changing every day and with the result of same ScanDisk have introduced the device named “Wireless Flash Drive”. 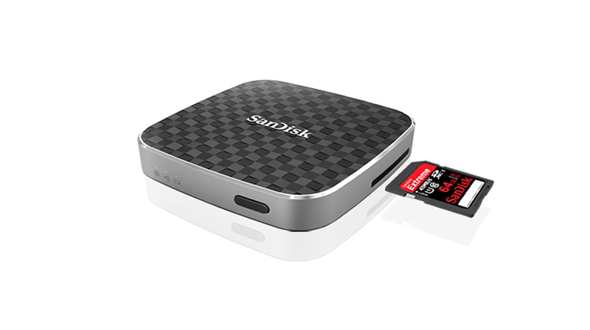 This drive can help you to boost your Mobile & Tablet memory without the external card slots or use of C-USB. Yes, you read it correct without the use of both the options you can increase your Mobile & Tablet memory with the help of Wireless Flash Drive. So the next question comes is what is Wireless Flash Drive and how it works? Wireless Flash Drive is a type of USB, with added feature of Wireless. It helps to access the data with the help of Wireless connectivity (without Internet). With the help of Wireless Flash Drive you can connect as many as 8 Devices but will have the limitation of 3 Devices when it comes to Streaming Video. The Wireless Flash Drive looks and works just like a regular thumbdrive or USB. These drives have no internal storage, but it supports microSD slots, which can be used to install 16 GB 32GB & 64GB cards. This Drive is supported with the battery, which supports for 4hours if used continuously. Share Wireless Mobile Storage across All your Mobile Devices. Work with Wide Range of Mobile Devices. Connects up to 8 Devices and stream Video up to 3 Devices Simultaneously.